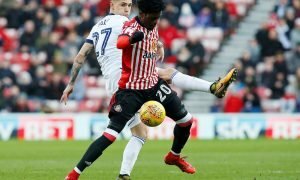 Done deal: Sunderland sell giant keeper to Premier League rivals | The Transfer Tavern | Where football transfer rumours fly or die! Our resident Sunderland fans who were downing their sorrows with a pint at the bar have been alerted to the news that goalkeeper Costel Pantilimon has joined Premier League rivals Watford. The 28-year old has departed the Stadium of Light in favour of a move to Vicarage Road, joining The Hornets on a three-and-a-half year deal after losing his place in the starting line-up. Earlier reports suggested that La Liga outfit Espanyol were leading the charge for the Sunderland stopper’s signature, although the Watford fans by the bar have been cheering jubilantly after their club swooped in at the last minute. The former Manchester City goalkeeper replaced Mannone as the first choice goalkeeper towards the beginning of the season, though Pantilimon has recently been dropped in favour of his Italian counterpart. Sunderland had three goalkeepers in their squad and Pantilimon had been left out of their matchday squad for the past three fixtures following the emergence of Jordan Pickford and faith being restored in Mannone. 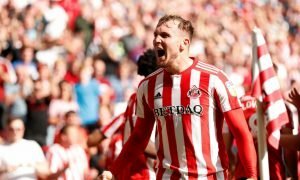 Meanwhile, Sunderland manager Sam Allardyce recently admitted that the Black Cats, who have already signed Dame N’Doye and Jan Kirchhoff this month, would have to sell players if they want to complete more signings. 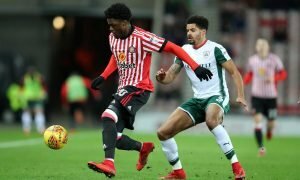 Financial Fair Paly regulations only permit a side to increase their annual wage budget by £4 million a year unless it is subsidised by player sales, with reports estimating that Sunderland’s wage bill rose by over £3 million in the summer. Watford fans, is Pantilimon a good first choice goalkeeper for your team? Let us know in the comments below!